August usually means one thing: back to school! For me, it’s another opportunity to start something new. I realized recently how bad my diet had gotten (donuts for breakfast multiple days a week!). I was am seriously obsessed with sugar. I met Stephanie through our sorority alumni group when I first moved to Houston. I’ve enjoyed following along with her journey to go natural through her blog and Facebook page. When I decided I needed to make a change in my diet I knew Steph was the perfect person to go to! I knew I couldn’t quit cold turkey (pun intended) and breaking the addiction to processed foods wouldn’t be easy, but even small changes can make a difference. 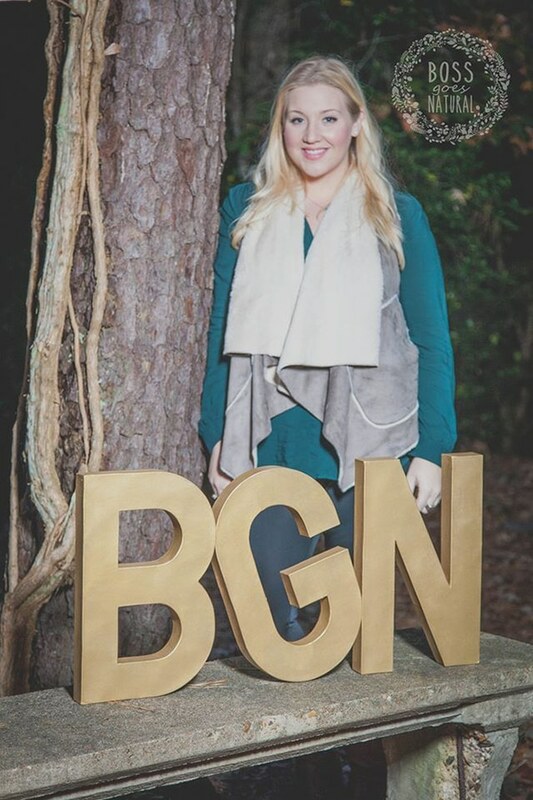 She pointed me to some great resources and is graciously sharing here on the blog today! 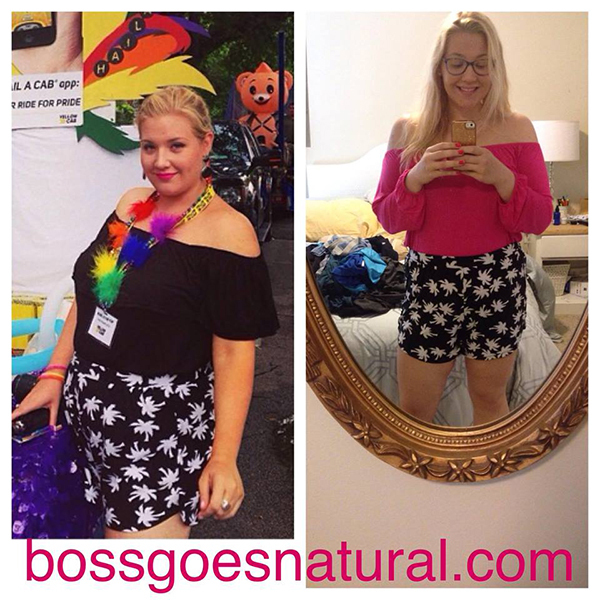 Steph is the founder and H[Boss]IC of Bossgoesnatural.com, a down to earth guide to holistic health, wellness and natural living. 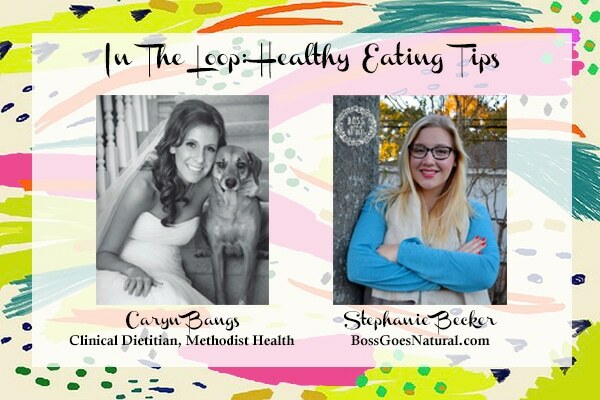 An advertising professional by day, Steph is working toward pursuing her holistic nutrition certification. When she isn’t experimenting with #realfoodie recipes in the kitchen, Steph enjoys spending time with fam & friends, crafting all natural beauty products, watching lifetime movies, and occasionally hitting the club. Follow Steph on Pinterest & Instagram for more natural living inspiration! Ten months ago I made the decision to transition from eating the Standard American Diet (SAD) into a more natural lifestyle. It all began after a trip to Turkey where I experienced the wealth of natural, unprocessed food. I realized that the way I was eating was not sustainable for my health and I made the decision to start researching our food system. Most foods in the SAD are sneaky and highly addictive due to copious amounts of sugar and chemical additives. Looking back, my consistent weight gain since I was 8 years old can be attributed to processed food and junk food addiction. Constantly snacking on processed foods was the norm and I’m sure many can relate. The most important and most difficult step of transitioning into eating more naturally and holistically has been breaking my addiction to processed foods. Now, this is a process that doesn’t happen overnight. It has taken months for me to come to a place where I am no longer tempted by grocery store baked goods, donuts, cupcakes or stuffed crust pizza. We have donuts at least once a week at work and I don’t even give them a second glance. I wouldn’t even call it will power because it just doesn’t appeal to me anymore. There is a lot of misinformation out there about health and nutrition. We are constantly bombarded with advertisements for “fat free” “sugar free” products and diets, body wraps, juice cleanses and diet pills. These companies want to keep you hungry, insecure and addicted to processed diet foods so you keep buying their products. Seeking knowledge of what is really in our food was my catalyst to overhauling the way I ate and taking control of my health for the first time in years. As I started looking up common chemical additives and preservatives in everyday processed foods, I was shocked and alarmed by what I learned. Once you identify these harmful ingredients, religiously read ingredient labels so you know which foods to avoid at the grocery store. You will learn to make homemade versions of common ready made staples. A few of my top toxic nono’s: canola oil, soybean oil, cottonseed oil (really any hydrogenated oil), potassium bromate, citric acid, high fructose corn syrup, sodium nitrate, enriched wheat and/or enriched flour, aspartame (and other artificial sweeteners), BHT, sodium sulfite, artificial colors. A great rule of thumb: if you don’t recognize it/can’t pronounce it, DON’T EAT IT. Beware of foods with dozens of ingredients. Once you’ve identified these foods, purge your pantry/fridge of processed foods. This is a pivotal step in kick-starting a natural lifestyle.Half of the battle is keeping it out of reach and out of your home. Focus on nutrients rather than calories and fat. Once I started nourishing my body with real food, plant-based deliciousness rich in color and nutrients, my cravings started to disappear. Letting go of the need to count every single calorie was so freeing. The biggest cravings for me were cheese and sugar. After incorporating more greens and healthy fats into my life, these cravings literally vanished. Now when I eat certain products I used to enjoy, all I taste is chemical emptiness. Your taste buds begin to adapt and crave nutrients! Over the last few months, I have learned how to recreate most of my favorite snacks and entrees using wholesome, plant-based ingredients. I seek recipe inspiration daily. It is so easy to fall into the tired, old “I’m too busy to cook” excuse. Do you spend hours in front of the TV each week? Hours online watching vids and stalking people on social media? I’m guilty, but now I use some of that time to find recipe inspiration. I chop vegetables and watch the Real Housewives. I find cooking enjoyable, relaxing and an expression of my love and creativity. Even if you aren’t the biggest fan, there are so many simple, quick recipes out there. Pinterest is a lifesaver. Limit your frequency of eating out. Trust me, I realize that this is a tough one. Eating out is a very social activity in our society. We go out to eat to catch up with a friend, for a business meeting, to celebrate a milestone or simply because we don’t feel like cooking. My new lifestyle has not robbed me of a social life; it has simply made me more mindful. I aim to eat out a maximum of 2-3 times per week, and do my best to only do so mainly for social reasons. The cold hard truth is that 99% of “healthy” dishes at restaurants are deceiving. Establishments want to keep food costs low so they use mostly conventional produce, meat and dairy treated with hormones/antibiotics, hydrogenated oils and baked goods with enriched flours and preservatives. Nothing wrong with enjoying a meal out, but be selective and mindful of where you dine. Listen to your body, be patient and remain optimistic. Once you reduce and/or eliminate processed foods from your diet, you will recognize your body’s response if/when you re-introduce them. Do certain foods make you tired? Do you feel bloated? Constipated? Do other foods give you energy and leave you feeling refreshed? Food is meant to nourish our mind, body and spirit and give us energy. Figure out what works best for you. Don’t beat yourself up if you binge on some fast food. It happens to us all. Be patient as this is a process that doesn’t happen overnight. It took a few weeks for me to notice a physical difference, but I noticed some wonderful changes within a few days: increased energy, mental clarity, reduction of anxiety and optimistic mood. It is amazing how efficiently your body functions when you reduce inflammation caused by junk food. Friends and family may seem puzzled at first by your newfound eating habits, but that is simply because you are going against the grain. Coworkers often inquire about healthy (weird looking) lunches: zoodles with pesto and hummus, tempeh meatballs and marinara sauce. The jokes don’t even bother me because I know that the curiosity is only helping spread awareness about what’s really in our food. People may poke fun now, but I’m glad I stick to my guns and keep the momentum. We all have unique motivations for getting healthy. Identify yours and let that be your guide to changing your eating habits. I never would’ve pictured myself eating this way two years ago, but I am so grateful for the knowledge I have gained and continue to seek. Once you’ve made the change from SAD to FAB you will never want to go back!